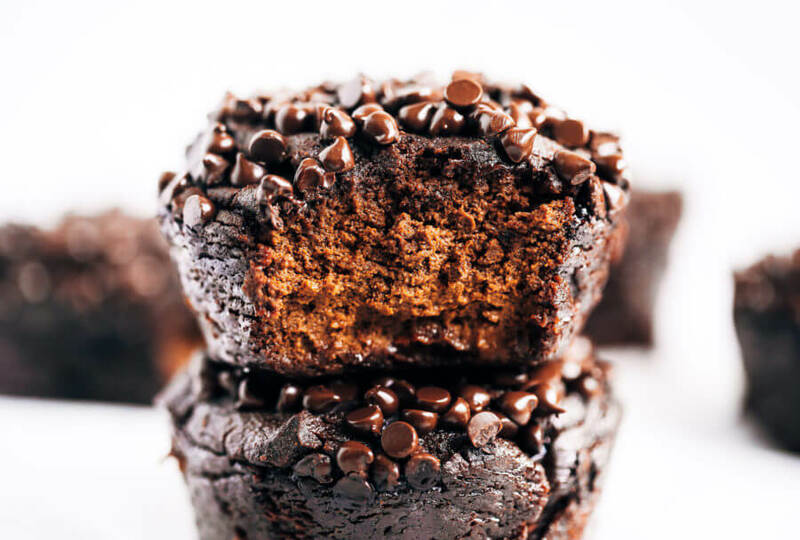 Healthy-decadent-fudgy-chocolate muffins made with sweet potato, avocado, and cauliflower! 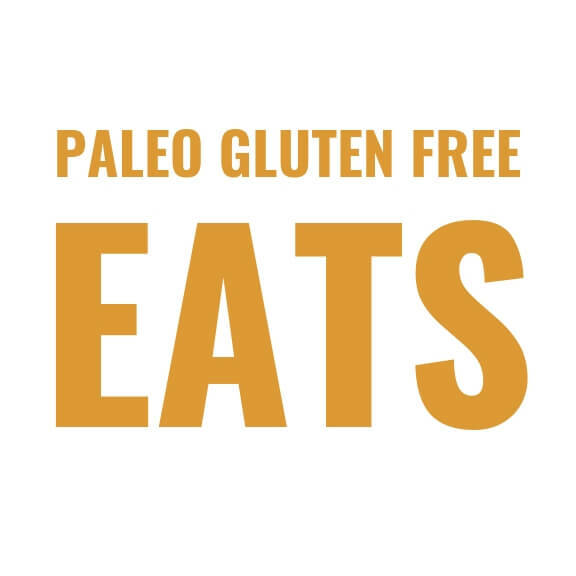 Flourless, nut free, paleo, and gluten free muffins made with veggies. The best way to get your kids to eat their veggies is these double chocolate muffins! These muffins are purely veggie based, so they are really moist! If you’re not into that, then I’d say pass this recipe up. But if you are looking for the healthiest veggie chocolate muffin of your life, you just found it. In a food processor prepare your minced sweet potato and cauliflower. Add all ingredients (except chocolate chips) in a high speed blender and puree until smooth. Line muffin tray with paper liners and fill 3/4 the way full with batter. Then sprinkle with chocolate chips (optional). I use large bakery style muffins and it makes 5 muffins and takes 1 hour 20 minutes to bake. To make 10 regular muffins reduce cooking time to about 60 minutes. You will know they have finished cooking when a knife inserted into the middle of a muffin comes out clean. Cool before eating (this allows the muffins to set up). The muffins should be really moist inside. Store in fridge or freezer. Nutrition Facts Healthy Chocolate Sweet Potato Avocado Muffins Amount Per Serving Calories 224 Calories from Fat 72 % Daily Value* Total Fat 8g 12% Saturated Fat 5g 25% Polyunsaturated Fat 0.5g Monounsaturated Fat 3g Cholesterol 37mg 12% Sodium 236mg 10% Potassium 485mg 14% Total Carbohydrates 33g 11% Dietary Fiber 8g 32% Sugars 16g Protein 6g 12% Vitamin A 136% Vitamin C 9% Calcium 6% Iron 4% * Percent Daily Values are based on a 2000 calorie diet. 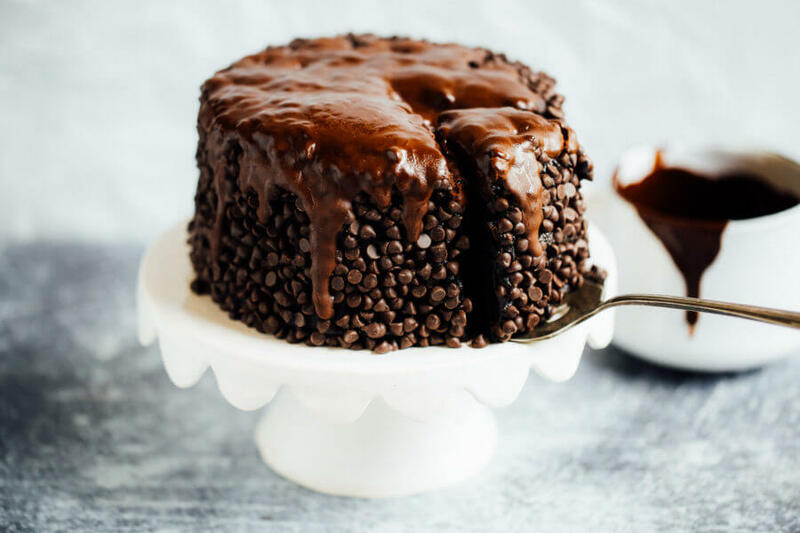 Blackout healthy paleo chocolate cake. Best gluten free chocolate cake- made with sweet potato and avocados! An easy paleo birthday or celebration cake that is moist and delicious. Optional toppings: chocolate chips and/or chocolate glaze. How to make chocolate glaze: in a double boiler over medium heat melt 1/4 cup coconut oil, 1/4 cup cocoa powder, and 2 tablespoons maples syrup. Once melted remove from heat, cool and use. Divide batter in-between the two cake pans. Bake on 350F for 45-50 minutes then chill in freezer while you make frosting. 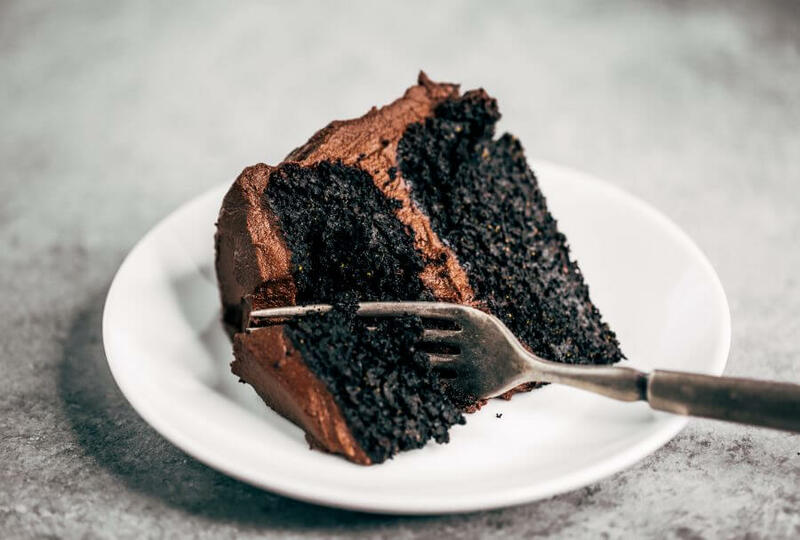 Nutrition Facts Blackout Healthy Paleo Chocolate Cake Amount Per Serving Calories 368 Calories from Fat 144 % Daily Value* Total Fat 16g 25% Saturated Fat 12g 60% Polyunsaturated Fat 0.4g Monounsaturated Fat 3g Cholesterol 31mg 10% Sodium 341mg 14% Potassium 742mg 21% Total Carbohydrates 58g 19% Dietary Fiber 13g 52% Sugars 29g Protein 9g 18% Vitamin A 211% Vitamin C 4% Calcium 12% Iron 16% * Percent Daily Values are based on a 2000 calorie diet.